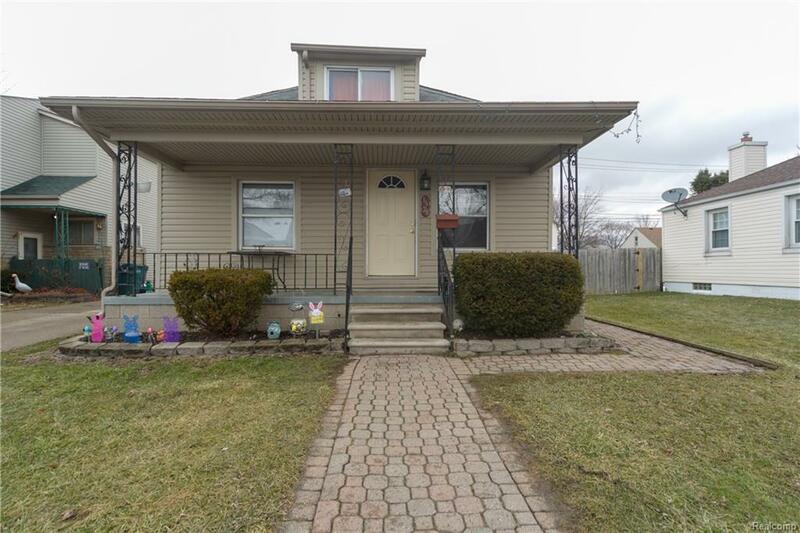 This spacious 2 bedroom Bungalow has a lot of newer features: Newer furnace, water heater, windows, roof and maintenance free premium vinyl siding. Newly updated Kitchen with new cabinets, flooring and fresh paint. Privacy fenced in yard with shed. Large unfinished second level has flooring and is insulated for possible 3rd bedroom. Enjoy your well-maintained neighborhood while relaxing under the covered front porch. Also, schools are located within walking distance. This would be a great investment property or just move your family right in. Assumable Land Contract Available. No Appliances.